Armrest Rant - Why do row seats have shared armrests? Whenever I sit in a row of seats such as in an auditorium or a movie theater, I prefer to not sit in the middle of 2 people. This is because of the lack of armrest issue. I'm sure you have noticed that there is usually only 1 armrest in between each seat. This means that only one person is going to be able to use that armrest. The other person is going to have to be squished in with their arms crossed or in their lap. If you are lucky to have an end seat, at least you are guaranteed 1 armrest. In situations like this, I recommend favoring that side and giving up the other armrest to the person sitting next to you. The worst is when you have 2 big people on each side who need that armrest space. 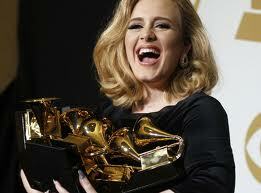 Then you are surely going to be without a rest for the duration of the show. I'm guessing the reason for only having one armrest in between is a matter of space, cost, and manufacturing. It's probably easier and cheaper to make them this way, but at the expense of the patron's comfort. 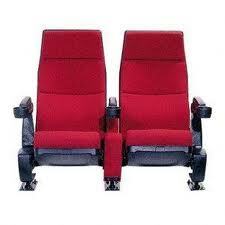 I think for now on, all row seats should be made with 2 armrests each. Sitting bunched up next to people is uncomfortable enough, the least they can do is give you some space for your arms. I know if given the choice between going to a theater with seats that has 2 arm rests and one that has shared armrests, I would definitely go to the one with 2. Everyone has a turn signal go out on their car once in a while. You probably notice it when your signal starts flashing really fast when you put it on. You get out and check it and either the front or back bulb is not flashing. But did you know that just because it is not working, doesn't mean the bulb is burnt out? There could just be corrosion around the bulb that is interfering with the connection. To check this, take out the bulb from your car. Refer the owners manual for instructions on how to get the light out. Once the bulb is out look at the wire filaments inside. If they are broken, the light is probably burnt out, but if they are still connected, the bulb is still good. If you have determined that the wires inside the bulb are ok, look at the metal connection pieces at the bottom of the bulb. Often times this area can get corroded or burnt. If you see and signs of this, try to scrape off the corrosion. You can use anything that is small such as a screw driver or a nail. Also check the socket where the bulb plugs into. If there is corrosion in there, try to get it out with a small screwdriver or tool. 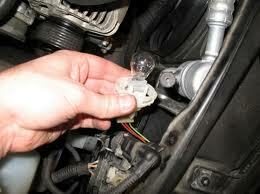 Once it is clean, put the bulb back into the socket. Turn on the power in the car and test the turn signal. If it works, you are good to go. If it doesn't work, you can try cleaning it a little more. If it still doesn't work, you may need to replace it with a new bulb. I like frozen meals because they are convenient and quick to prepare. I prefer to eat at home, but I don't like to spend a lot of time cooking, so for dinner, frozen meals are a good option. They might not taste as good a something made fresh, and they usually have a lot of sodium, but if you buy the right ones, and don't eat them all the time, frozen meals are a nutritious option for those who don't want to cook or go out. I have tried several brands and varieties over the years and in this blog, I will share the best ones I recommend. Note, I am somewhat of a vegetarian so I almost never get the meals that have meat in them. I usually go for the pasta and rice dishes. Also, I usually buy moderately price meals, not the cheap ones, and not the expensive organic ones. Here are some of the brands and individual meals I recommend. 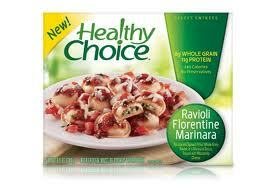 Lean Cuisine is one of the big names in frozen foods. They have a ton of options and they are reasonably priced. I like the pasta and cheese dishes. I also like the Santa Fe rice and beans. On occasion I get the veggie egg roll and rice. My favorite is the cheese ravioli that comes with the mixed peppers but lately that one is kind of hard to find. 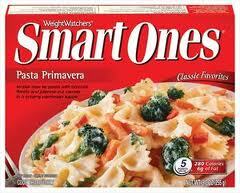 Like Lean Cuisine, Smart Ones have a lot of choices and they are not too expensive. They have several different pasta and vegetable dishes that I like. They also have a rice and bean dish that is good. There is only one meal that I get from this brand and that is the cheese tortellini. The reason being because that is pretty much the only non-meat dish they have. Also they tend to be more expensive than the other brands. 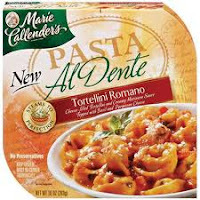 I wish they would come out with more vegetarian dishes because the tortellini is one of my favorites. I don't recommend this brand overall because some of their meals are just not very good. However I can recommend the cheese pasta dishes and vegetables. Hopefully this gives you some guidance when it comes to picking out the best frozen meals. Do you have any favorites that are not mentioned here? Feel free to share them in the comments below. 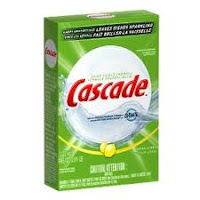 The first detergent I bought to use with my dishwasher was Cascade Powder with Dawn. It's a common brand and its not too expensive. Overall I was not too happy with its cleaning ability. In the beginning it was ok, but after a few months I noticed the glasses were not getting clean. I tried different amounts and different cycles, but nothing was working. It should also be noted that I always rinse my dishes well before I even put them in the washer so there should be no excuse for them not to be clean. Because of this issue, I asked advice from one of my co-workers. She recommended the individual packets, Cascade calls them ActionPacs. I went to the store and got the Cascade Complete ActionPacs. They were considerably more expensive than the basic powder, but they were on sale and I got the smallest size just to try them out. At first I was hesitant because they come in a plastic and you are just suppose to put them in like that and they are suppose to dissolve. I took their words for it and as promised, it did dissolve. It also cleaned the dishes very well! The detergent also had a good smell to it. After the dishes were cleaned, for the next cycle, I thought I would try out the powder. It seemed to work better this time, but still not as good as the packets. My plan now is to use both kinds of detergent and alternate between them. 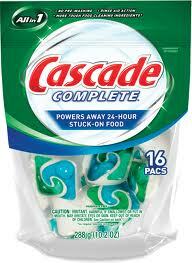 If you are having trouble getting your dishes clean, I recommend trying out the Cascade ActionPacs. At times I question the way I live and wonder if it is right. I compare it to the way other people live and see that it is different. It makes me wonder if I am doing the wrong things. 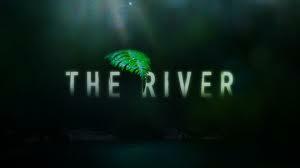 My typical Friday and Saturday nights are spent home alone on the computer and then watching some tv before bed which is usually around 10pm. I realize that a lot of people my age are out at parties or bars with their friends on these nights and they stay out late into the morning hours. Yesterday, I went out with group of people my age to celebrate my sister's birthday. We went to a bar where they had a stand up comedy night. Then we went to a restaurant/bar after that. Both of these were down town in the busy city away from the suburbs that I am used to. We stayed out til about 12pm. At that point our smaller group decided to go home while the other part stayed out to go to yet another bar. While I had a good time, in fact I seemed to be enjoying the evening more than most of the other people in the group, I still, given the choice would prefer to stay home by myself and just watch Youtube videos, or listen to radio shows and music. Going out for me is a big deal. It involves a lot of uncertainty, compromised security, and a general feeling of being uncomfortable. I don't like being in unfamiliar situations surrounded by a lot of people I don't know, eating foods that I don't know if I will like, listening to music chosen by other people. That is my personality type. I realize that some people do like all of these things, and for them, going out every weekend and doing these things is what they want to do. Tying back my title, after having gone out last night, I am very reassured that the way I am living and spending my time is right for me. Just because a lot of people want to go out and party on the weekends, doesn’t mean that what you are supposed to do. I am happy living the way I want to. You can apply this to your life and your situation. Do what makes you happy even if it goes against the norm. Sometimes at work I get bored and have some extra time on my hands. Having a computer and word processor at my disposal, I started coming up with activities that would develop my vocabulary and writing skills. Over time I developed a fun writing exercise that fills up time and helps you with creative writing. You start by coming up with a list of words, A-Z, for example: alligator, balloon, capital... Then once you have your list, come up with an original sentence using each word. Try to make them interesting and lengthy. You will end up with 26 original sentences. This is a good start, but if you want to do the full exercise, you must relate all the sentences together so they actually make a story. 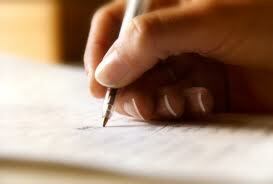 At the end you will have an original short story using words that start with every letter of the alphabet. Here is an example that I did. Note, it is missing a couple letters. After you have done a lot of these you start to realize that it's hard to keep coming up with new words for some letters like x and z. J, k, and q are challenging too after a while. Try to come up with a theme before you start writing your sentences so you have a little direction, but decide on the theme after you pick random words. Words: Accent, border, carriage, deliver, estimate, fragile, gallop, horizon, indifferent, jam, knowledge, lentil, mysterious, notorious, origin, proprietary, quiver, ridiculous, stationary, tractor, unfortunate, valuable, waffles. Theme: driving in a foreign country. Coming from the US, he had always loved the accent of the native speakers of the UK. As he crossed the border from England to Scotland, he had to be careful to drive on the correct side of the road. If he became careless, he might run into a carriage, another vehicle, or a pedestrian. He had to deliver a package to a client before the end of the day. His estimate was that it would take about an hour to get to his destination. The contents of the package were fragile, so he had to be extra careful when moving it. Along side the road he saw a horse gallop through an open field. It looked so graceful against the sunrise in the horizon. The horse appeared indifferent in relation to its surroundings. Just then he came up to a traffic jam! All the knowledge in the world wouldn't get him out of this one. The truck in front of him belonged to a soup company and had pictures of minestrone, chicken noodle, and lentil soup. A mysterious looking fellow wearing sunglasses and a cap was behind him in a Volkswagen sedan. This road he had heard was notorious for it's congested traffic patterns. The origin of the jam was unknown to him because he couldn't see around the soup truck. 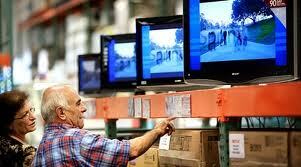 He hoped the proprietary owner of the package would not be upset if the delivery was late. The thought of having to explain why the package was late made him quiver. Then again, he had until the end of the day to get there so his thought was actually ridiculous. After having remained stationary for about 3 minutes, the cars finally began to move. Still, it was slow and a big tractor in the field on the left was moving faster than he was. He was hungry, but it was unfortunate he could not open the package. What was inside was valuable and could not be opened or disturbed until it arrived at its destination. What was inside was none other than fresh gourmet Belgian waffles! And there you have it! Give it a try. You can even post your story below in the comments section. Good luck!